Cedar Male Medical is different from other clinic because we specialize in treating only men, use the most advanced medical treatments available, and individualize custom treatments to meet the individual needs of each patients. Opened in February 2015, Cedar Male Medical is a naturopathic medical office open to men of all ages and stages of health. Dr. Brenden Witte, founder of Cedar Male Medical, has helped thousands of men enjoy greater quality of life by providing well-managed bio-identical hormone treatments. Dr. Witte wants you to live passionately again! As a licensed naturopathic physician, Dr. Witte truly believes that between properly balanced hormones, diet, nutrition, and exercise patients can enjoy longer, healthier more passionate lives. He can easily work in conjunction with an established medical team to provide adjunctive care, tailored to meet individual patient needs. Dr. Witte has had many patients return to his office with the satisfaction of a changed life. If you're a man that may be having any hormonal symptoms or concerns (disruption to any part of the hypothalamic-pituitary-adrenal-gonadal system), you owe it to yourself to visit Bellingham's best and most experienced BHRT clinic at Cedar Male Medical. Please Note: Medical lab testing including blood draws, processing specimens and diagnostic/screening labs may be required before any treatment is recommended. This ensures that patients receive treatments that are safe and medically indicated to improve the patient's health and quality of life. 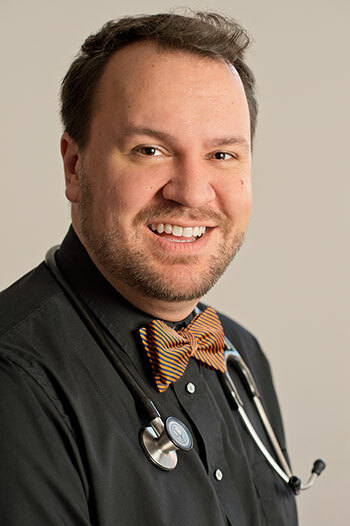 Dr. Brenden Witte is the founder of Cedar Male Medical, Bellingham's premier mens' health clinic. Dr. Witte is passionate about mens' health and has helped thousands of men overcome unnecessary suffering, due to hormone imbalance. In his customized bio-identical hormone therapies, there is a solution and hope for men of all walks of life! He is actively advocating for both patient and practitioner education on mens' health, cutting through the noise, stigma and medical dogma, to present an honest conversation about how men can live passionately, with a greater quality of life. Dr. Witte is thrilled to serve the community by offering mens' health expertise, typically found only in much larger metropolitan areas. Dr. Witte firmly believes in the power of knowledge and is deeply committed to empowering his patients, colleagues and himself through education, instruction, and information exchange. He has spent his life being mentored by compassionate leaders and has always sought to help others. In Dr. Witte's early academic career, he earned a BS in Industrial Engineering from Bradley University. Applying his analytical skills as an engineer and the ability to integrate systems and structure, he continued this passion and began the transition to medical school. He graduated from Bastyr University as a Naturopathic Doctor. Naturopaths are trained in both traditional and Western medicine, providing Dr. Witte with the best balance of clinical tools to help his patients. As a men's health doctor, he specializes in bio-identical hormone therapies and sexual/reproductive health. By combining effective scientific medical techniques and naturopathic, common sense approaches to lifestyle, Dr. Witte has created a unique system of treatment that supports optimal male health and vitality. Dr. Witte tailors unique treatments for his patients, addressing the symptoms while simultaneously treating the root causes of low energy, weight gain, poor mental acuity and erectile dysfunction in men. Dr. Witte and his family moved to the Bellingham area in 2014. He is thrilled to be part of the business and community organizations set amidst the vibrant community of Bellingham, Washington! In his free time, Brenden enjoys spending time with friends, his spouse and his three children. He can be found watching films at the Pickford, exploring the greater Bellingham area microbreweries, enjoying Jeff & Maria's classes at Pilates Studio of Bellingham, and hiking in the state park forests.. He is privileged to give back to the larger community and contributes 5% of clinic profits to non-profit charities including the Interfaith Community Health Center and Domestic Violence and Sexual Assault Services of Whatcom County (DVSAS). He is also active in the Washington Association of Naturopathic Physicians (WANP), serving on the Governmental Affairs committee. He is a current member of the Whatcom Young Professionals as well as the Bellingham Chamber of Commerce. His professional memberships also include the American Academy of Anti-Aging Medicine, both the American Association and the Washington Association of Naturopathic Physicians and is a BioTE certified practitioner. Dr. Witte is incredibly passionate about male hormone balancing, believing it is dramatically improving male health care. He believes that health at all levels - emotional, mental, spiritual, and physical- is essential to a thriving community. He is honored to share his passion and knowledge with patients.